Falling leaves, crisp air, cozy scarves, apple cider and donuts. 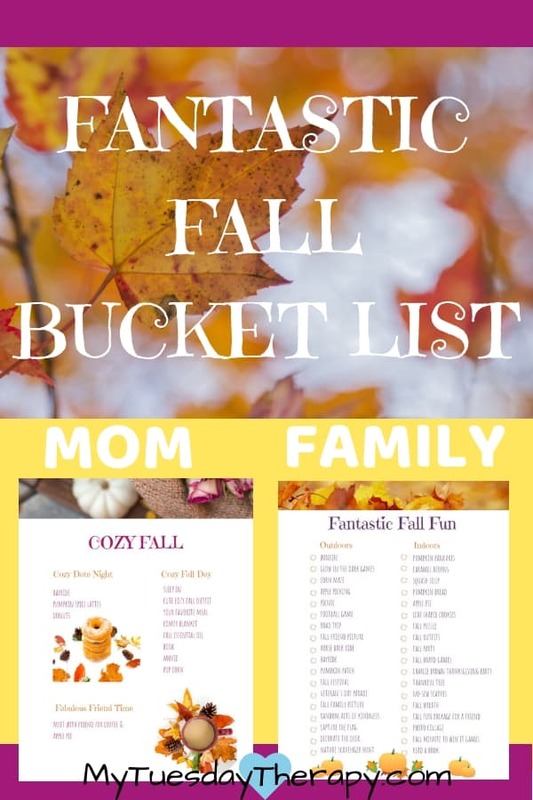 This season has so much to offer and I hope that these fall bucket list ideas will help you to celebrate this beautiful time of the year. 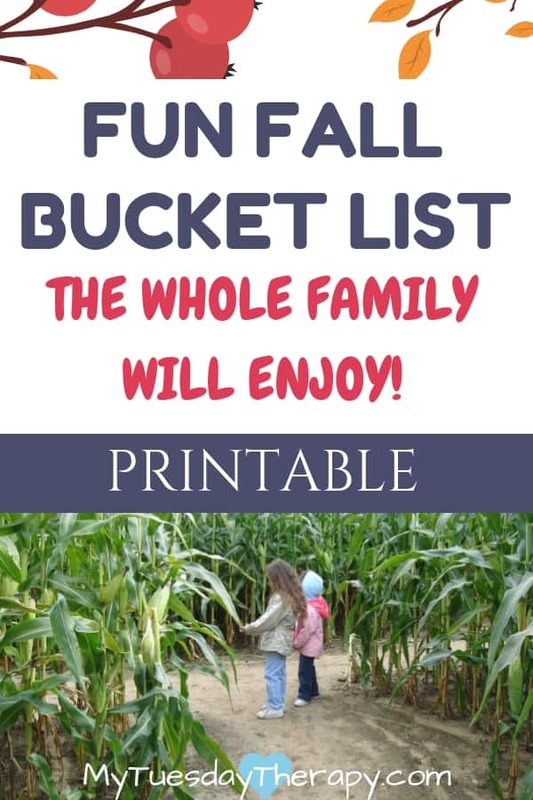 These fall fun ideas are great for the whole family! Set the mood at the entrance. Adorn the door with a beautiful wreath. This could be a fun DIY family project. And you don’t need to stop at the front door. 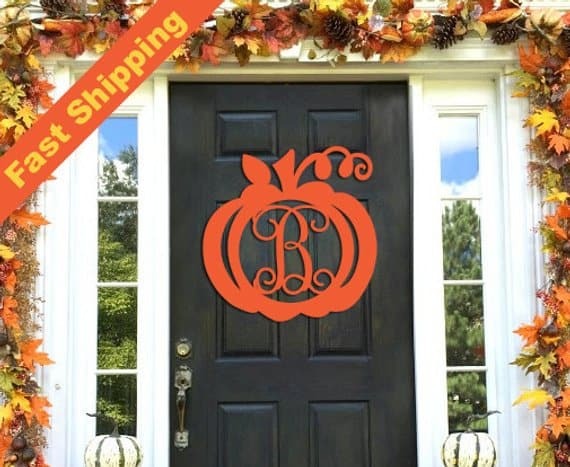 Image: Letters Designs (Etsy shop) A cute alternative to the wreath of leaves. How about a wreath also on the door leading from garage into the house. That is often the way most of us get into the house. And I’m sure the kids would love to have a handmade wreath on their room doors too. Bring out your cozy, warm fall outfits and have a picnic in the park. 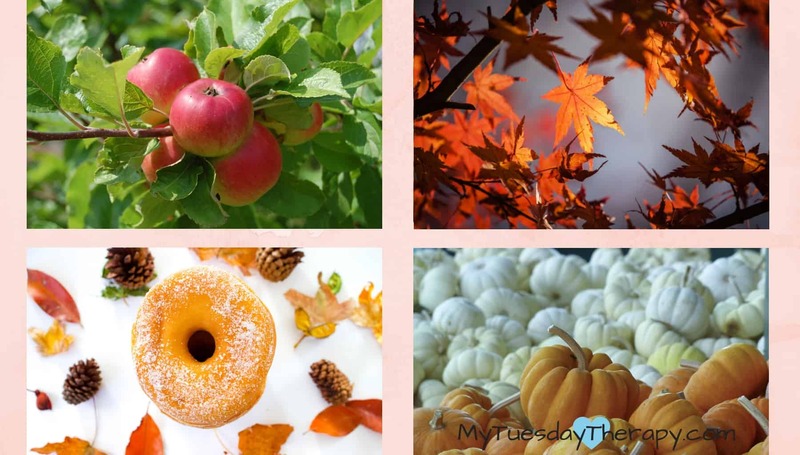 Enjoy apple cider and donuts and take some awesome pictures. Maybe you can even bring along card games or if it gets chilly stay warm by playing the good game that never goes out of style: tag. Fun activity to be enjoyed as a family or with a group of friends. Maybe you can even bake an apple pie together or make delicious apple sauce. Is there a better way to spend an afternoon or evening than trying to find your way out of a corn maze. Just a word of advice: go when the corn field is dry… not fun when your shoes get all muddy. Or wear rain boots. I know some people who are very competitive and would love to see who can get out of the maze fastest. Split into teams and let the fun begin. It gets dark pretty early so this is the perfect season to bring out the glow in the dark sticks, bracelets etc. and play some fantastic glow in the dark games! 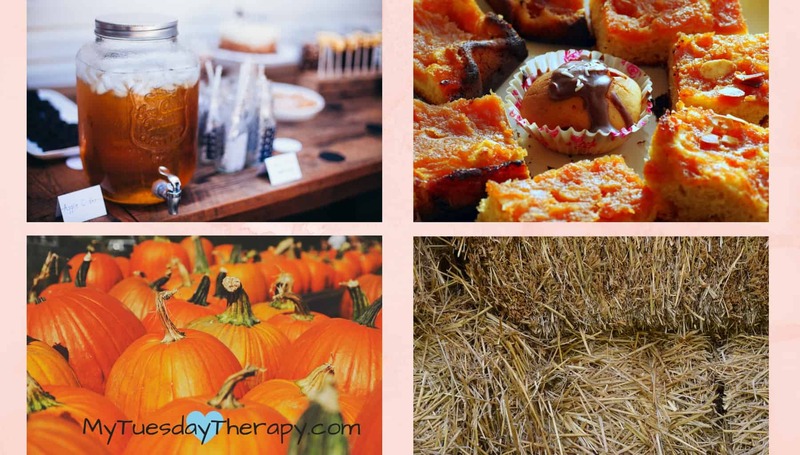 Attend a fall festival. Hay bales, pumpkins, face painting, games maybe even some good ol’ square dancing. Talking about hay… it is not a fall without a hayride unless hay makes you sneeze then it might not be the best choice. Once during a trip to a pumpkin patch/hayride, I learned an easy way to remember the difference between hay and straw. Straw begins with an s so does sleep. Horses sleep on straw. Okay, maybe most of you already knew that. Anyhow, go for a trail ride, enjoy the colorful foliage and crisp air. A wonderful way to spend a leisurely afternoon. If you have a special place you go in the summer, maybe you could visit that place in the fall and see how different it looks. Or take a trip and stop at various places such as an orchard, lake, pumpkin patch, cafe. Take cool family photos at every stop. Seriously, this is something I should have done. We have been terrible about taking family photos. Ton of pictures of the kids but the whole family… not so much. Hire a photographer or just ask a neighbor to take a picture or two. And with the amazing technology we have nowadays it is easy to take the pictures without additional helper. All the fun does not need to happen outside. 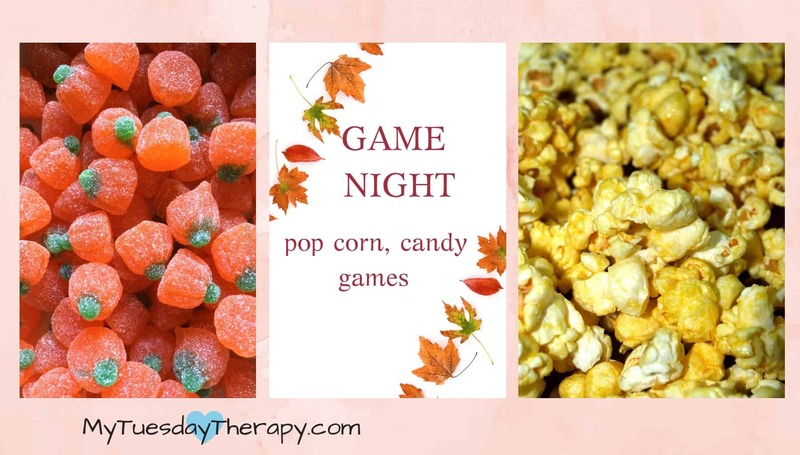 Host a game night, serve various kinds of popcorn. And play board games, fall pictionary, or charades. Go shopping for new fall clothes and accessories. Or create new combinations with the clothes you already have. Kids often like to make the no-sew scarves! That would be a fun activity for an autumn day. If you have a kid who likes to knit then a knitted scarf would also be a great project. The scarves make great Christmas presents too. We like to have a fall party on the First Day of Fall. The day varies by year. In 2018 it is the 22nd. Fall Party with all the cleaning and decorating, games and fun serves as the opening day for the fall season. Check it out! 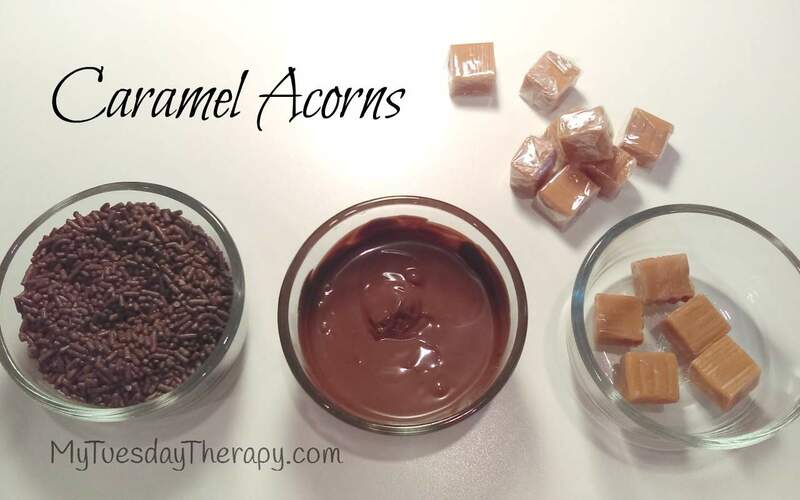 In this Fall Party post you find the easy recipe for the yummy caramel acorns. They are so easy to make that anyone can help with these! A simple way to spend time as a family or hang out with your friends. Listen to music, chat and work on puzzles. Imagine waking up to the smell of the pumpkin spice! Ok… maybe that’s not going to happen to you unless your kids are older but imagine them waking up to the smell of the pumpkin spice. A yummy way to start a beautiful fall day. As we get closer to Thanksgiving we begin to think about the things we are thankful for. This is so much fun. And easy! The kids will love to have toast, pop corn, pretzels, and jelly beans for dinner. 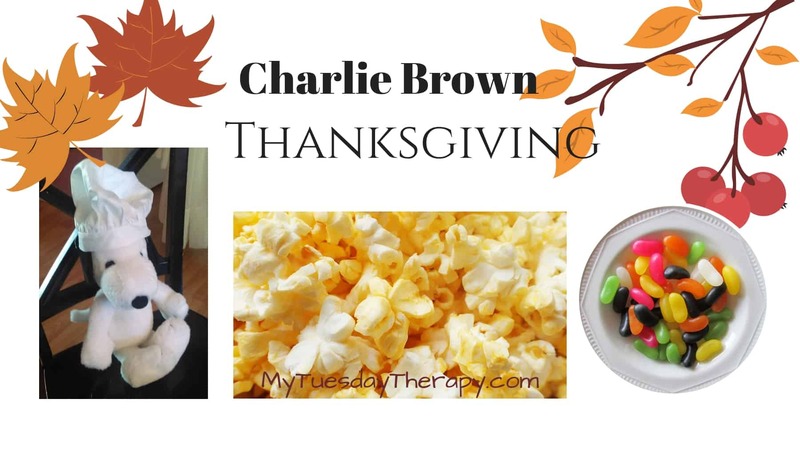 Charlie Brown Thanksgiving Party is a sweet tradition to have with your family. Invite a few friends over too and have an awesome evening of laughter. 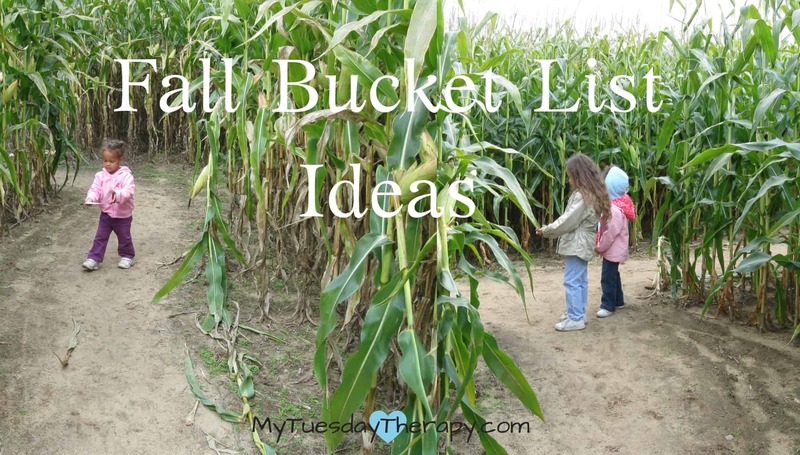 A handy fall bucket list printable! You find it in the My Tuesday Therapy Freebies for the subscribers. 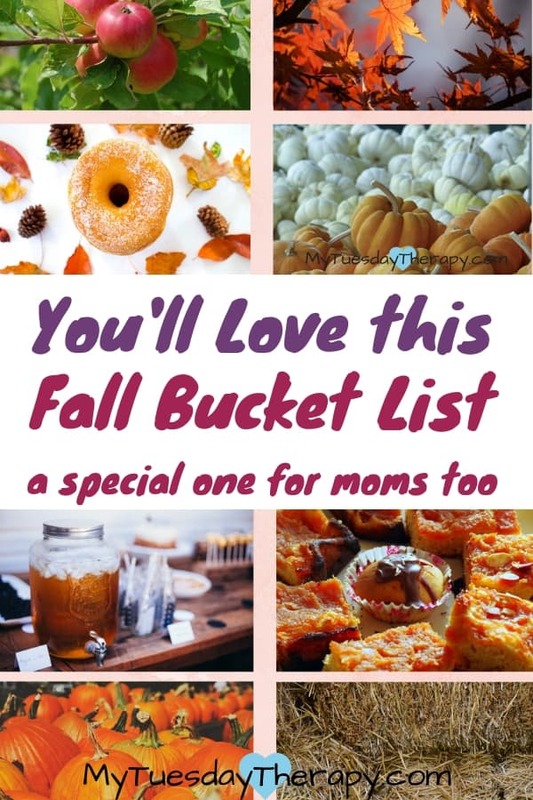 There is a fall bucket list for moms too – it is short and sweet. Sign up below the image! Winter Board Games to Play… in the Winter! Fun! !